Fig. 15 shows the implementation architecture of DODDLE-OWL. 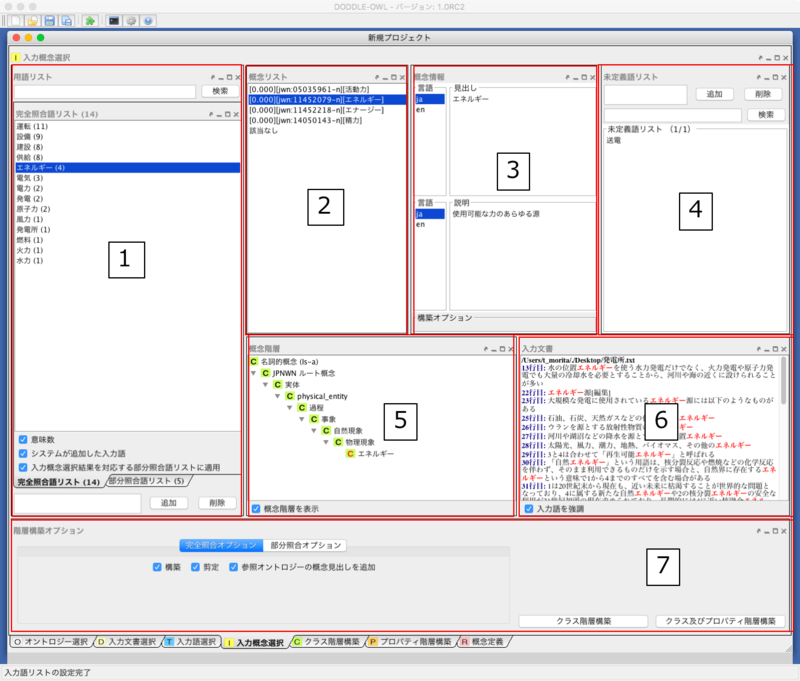 DODDLE-OWL is implemented by Java language and used Java Swing as GUI components. DODDLE-OWL has the following six main modules: Ontology Selection Module, Input Module, Construction Module, Refinement Module, Visualization Module, and Translation Module. On implementation, Construction Module and Refinement Module are implemented in the same panel. In order to get existing ontologies on the web, we use Swoogle Web services in the Ontology Selection Module. In the Input Module, Construction Module, and Refinement Module, we use extJWNL(Extended Java WordNet Library) to refer WordNet. 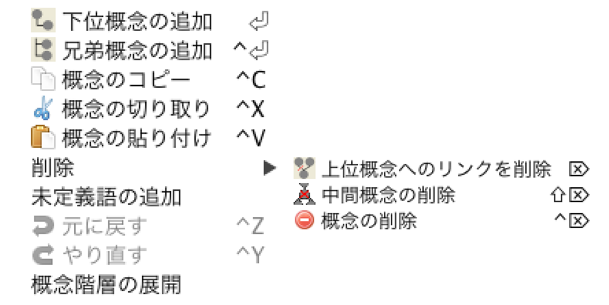 In the Input Module, we use Japanese morphological analyzer lucene-gosen to analyze Japanese morphmes and identify part-of-speech in the documents. In order to identify English part-of-speech, we use The Stanford Parser . In order to extract English and Japanese compound words, we use Automatic Domain Terminology Extraction System [Nakagawa03] . 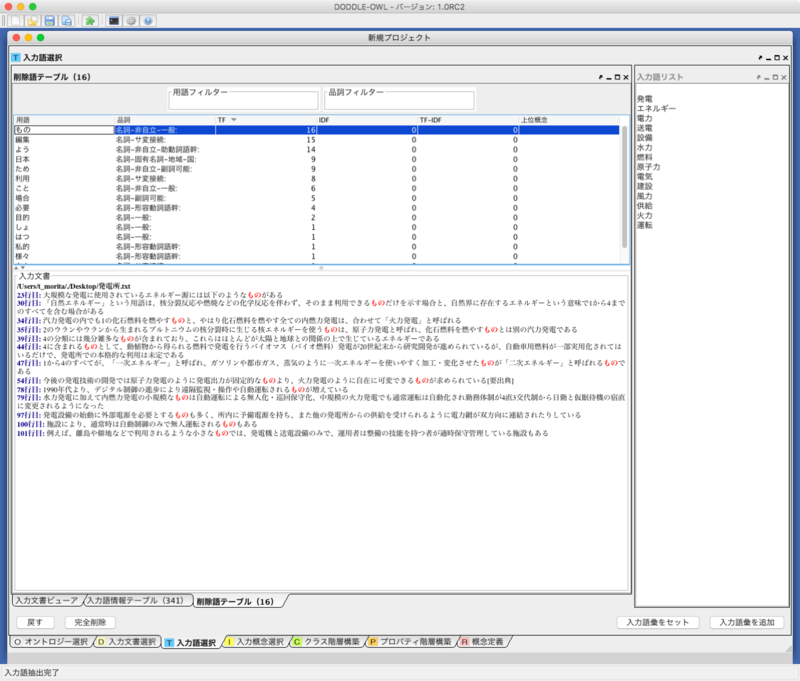 We also use Yet Another Japanese Dependency Structure Analyzer CaboCha to extract Japanese compound words. In order to extract texts from various format documents such as PDF, Microsoft Word, Excel, and PowerPoint, we use Apache POI and Apache PDFBox . We use MR3 <http://mrcube.org> as the Visualization Module. In the Translation Module, we use Apache Jena to import and export ontologies in OWL format. Swoogle provides 19 types of REST web-service interfaces (Swoogle Web Services). When a query URL made by the user is inputted to Swoogle, the user can get the query results in RDF/XML. Swoogle Web Services mainly have queryType and searchString as their parameters. The queryType parameter specifies the type of the web service to call. The searchString parameter is given the input search string of the web service. Table 1 shows the Swoogle Web Services available for domain ontology construction, and their input and output. SWD (Semantic Web Document) in Table 1 is an RDF document described in RDF/XML, N-Triple, or Notation 3. SWT (Semantic Web Term) in Table 1 is an RDF resource with URI being defined, referenced, and populated as classes or properties in SWD. SWO (Semantic Web Ontology) is a special type of SWD which defines many classes and properties. Table 2 shows the types of Swoogle web services to use and the limiting conditions for each step in acquiring existing ontologies. The Step column in Table 2 corresponds to the steps described in Fig. 3 . The Types of Swoogle Web Services to Use column in Table 2 corresponds to the types in Table 1. In order to reduce the cost of computation time, DODDLE-OWL has limiting conditions for each steps. 1 3 The number of classes and properties for each input term is limited to the top 5 sorted by TermRank. 2 17, 19 The number of properties which have the classes as their value of rdfs:domain or rdfs:range property is limited to the top 100. 3 16, 18 The number of values for rdfs:domain and rdfs:range of each property is limited to the top 100. 4 1, 4, 13 The number of ontologies for each input term is limited to the top 10 sorted by OntoRank. Listing 1 to Listing 5 show templates described in SPARQL to extract ontological elements described in RDFS, DAML, and OWL. If DODDLE-OWL executes the extracting labels and descriptions template in Listing 3 directly as a SPARQL query, DODDLE-OWL acquires all values of rdfs:label, rdfs:comment, and etc properties as the SPARQL query result. In order to acquire only the labels and descriptions of an input concept, DODDLE-OWL replaces the ?concept variable in Listing 3 with the URI of the input concept. In a similar way, DODDLE-OWL replaces the variables in other templates with the appropriate URIs, and executes the replaced templates as the SPARQL query. By building the five types of templates using ?concept, ?subConcept, ?class, ?property, ?label, ?description, ?domain, and ?range variables and setting the templates in DODDLE-OWL, extraction of the ontologies’ elements described in various scheme is possible with DODDLE-OWL. Fig. 16 shows a screenshot of the General Ontology Selection Panel. In the Ontology Selection Module, the users can select reference ontologies. The reference ontologies are used in the other modules in DODDLE-OWL. 5 types of general ontologies as shown in Fig. 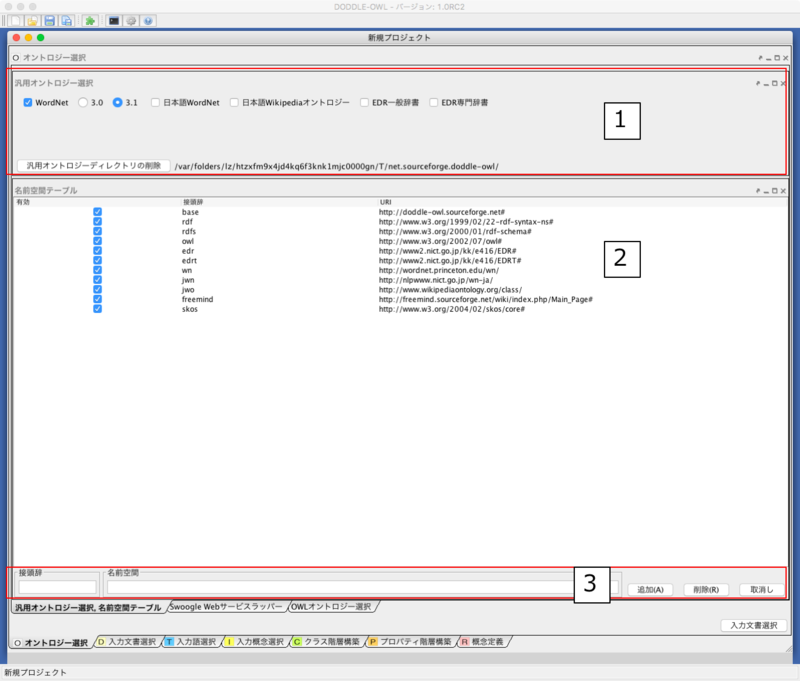 16 -1 (WordNet, Japanese, WordNet, Japanese Wikipedia Ontology, EDR general electronic dictionary, and EDR special electronic dictionary) can be used as reference ontologies in DODDLE-OWL. For WordNet, the users can choose either ver.3.0 or ver.3.1. Using general ontologies with checkboxes checked, then build a concept hierarchy in a domain ontology. Depending on the domain, it may not be possible to cover the vocabulary with only one general ontology, so it is possible to combine multiple general ontologies to build domain ontologies. The namespace table as shown in Fig. 16 -2 manages the correspondence between the namespace URI and its namespace prefix. The users can input a prefix and a namespace in the Fig. 16 -3 and add them by the add button in the right side of Fig. 16 -3. Fig. 17 shows a screenshot of the OWL Ontology Selection Panel. The users can select existing OWL ontologies as reference ontologies by the Add (File) or Add (URI) buttons in the Fig. 17 -1. It is considered that if the ontologies for a target domain exist on the web and can be reused, the cost of refining semi-automatically generated ontologies will be reduced. The ontologies constructed by DODDLE-OWL are described in OWL. Therefore, these ontologies can be reused as reference ontologies in DODDLE-OWL. OWL meta data of the selected ontology from the ontology list (Fig. 17 -1 ) is shown in the Fig. 17 -3. The users can select SPARQL templates to extract ontological elements in OWL ontologies in the Fig. 17 -2 . 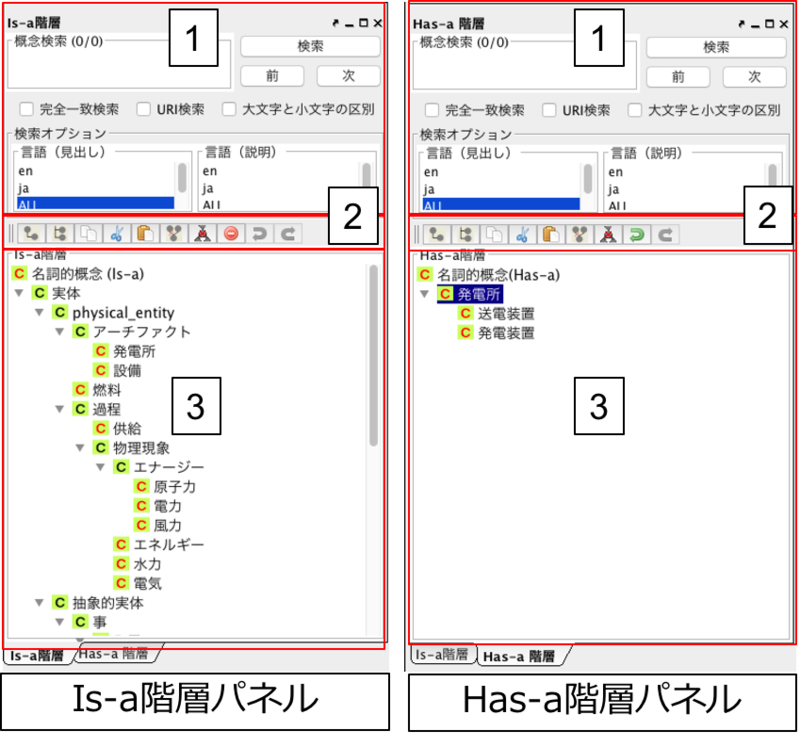 The users can use 5 types of SPARQL templates as shown in Extracting ontological elements using SPARQL templates. Fig. 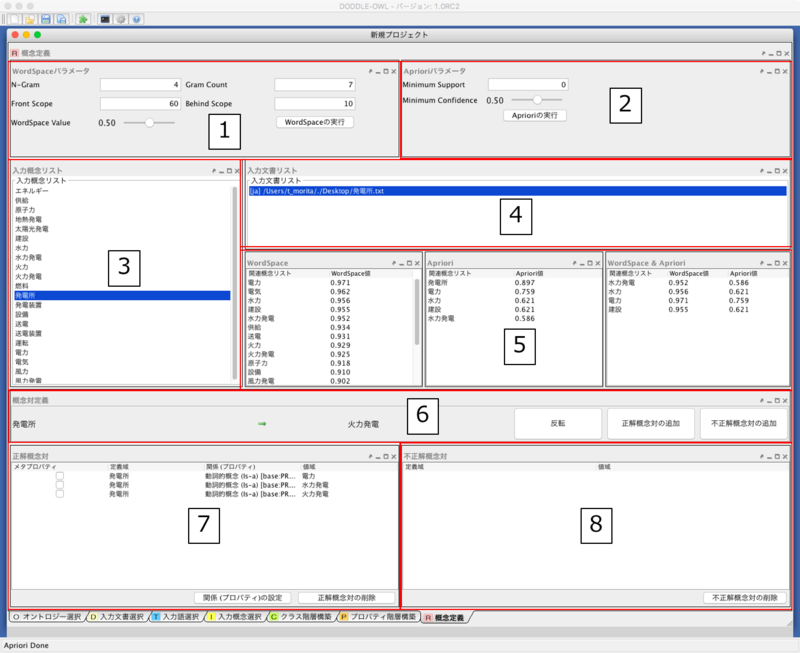 18 shows a screenshot of the Input Document Selection Panel. 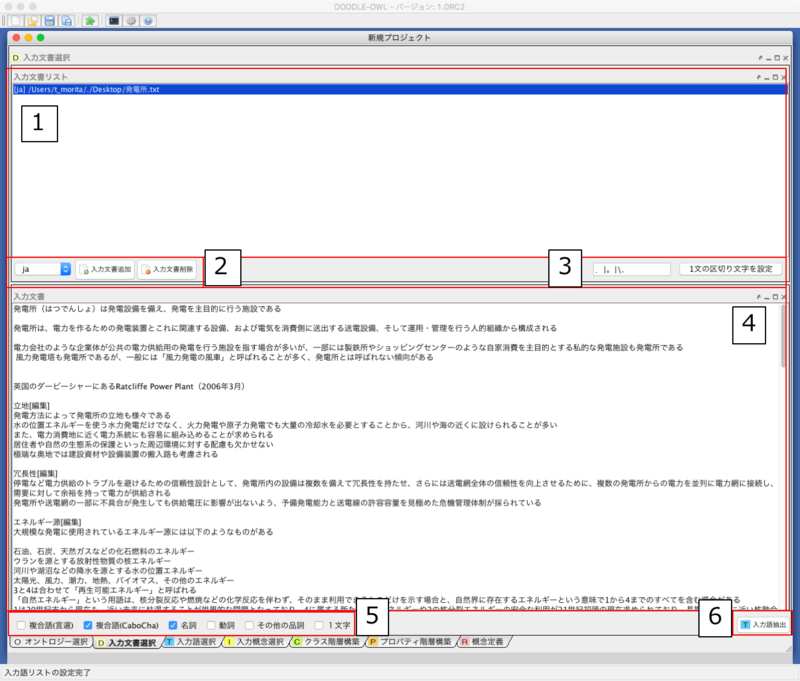 In the Input Document Selection Panel, the users can select domain specific documents described in English or Japanese. Text data can be extracted from files of various formats (Word, Excel, PowerPoint, and PDF) using Apache POI and Apache PDFBox. At this step, the users can select part of speech (POS) (Noun, Verb, Others, and Compound Word) for extraction of words from the documents. We describe the details of each part in Fig. 18 below. Display a list of input documents. 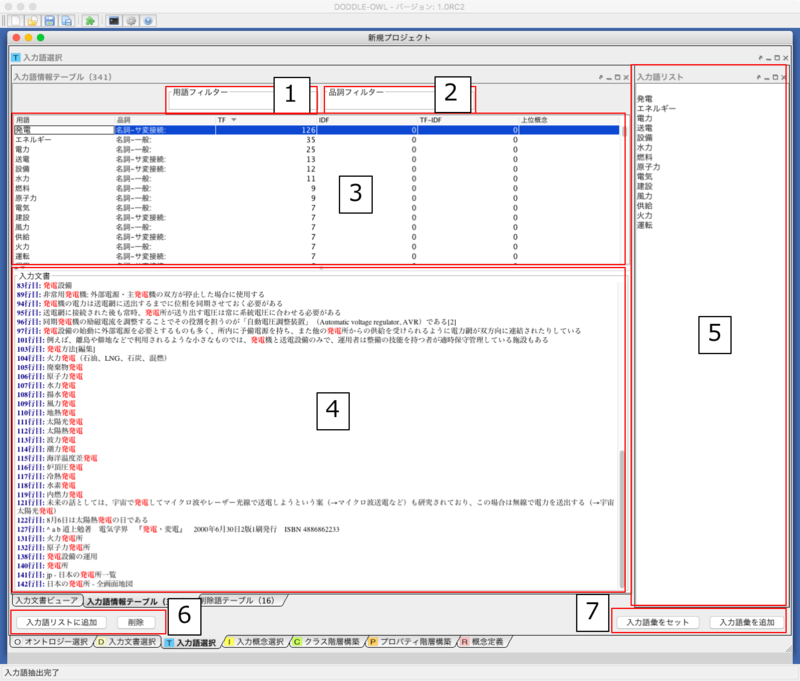 Selects the description language (Japanese or English) of the input document and adds and deletes the input document. Sets the delimiter of one sentence. 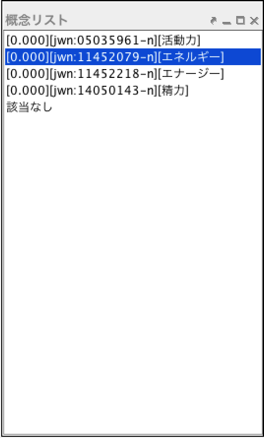 The content of the document selected from the input document list of 1 is displayed. Whether part-of-speech of words to be extracted, compound words are extracted or not, and whether to extract one word of words are selected. From the documents selected in the input document list of 1, words of the conditions specified by 5 are extracted. 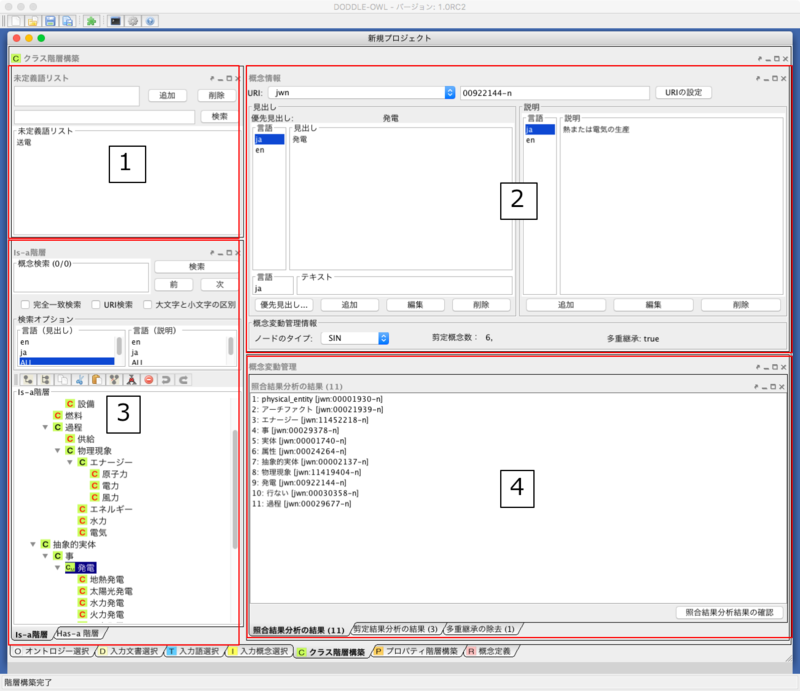 The Input Term Selection Panel is composed of the Input Document Viewer, the Input Term Table, and the Removed Term Table. Each component will be described below. 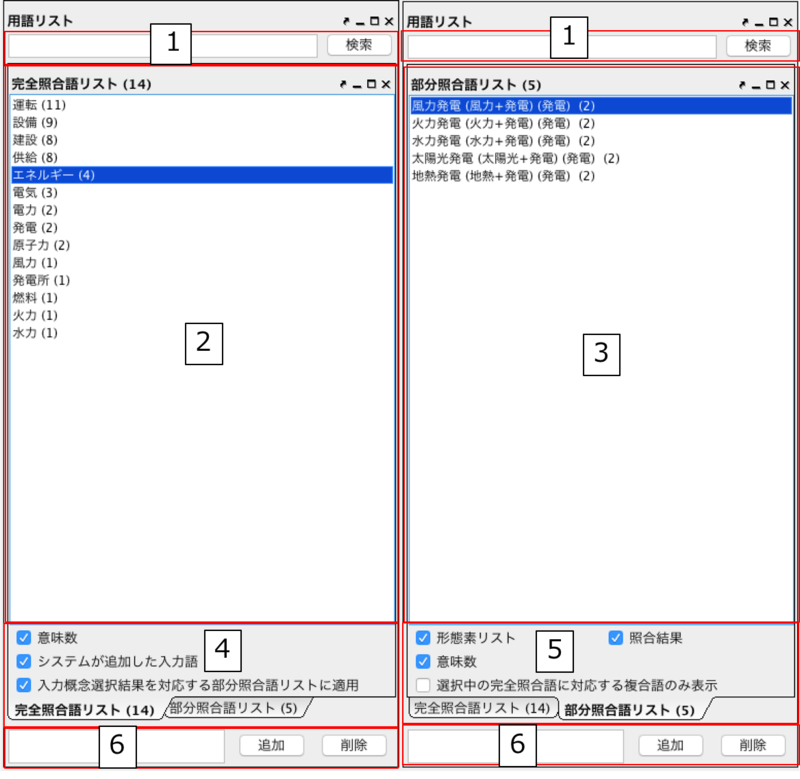 In the Input Document Viewer, the user can select input terms while viewing the contents of the input document. Fig. 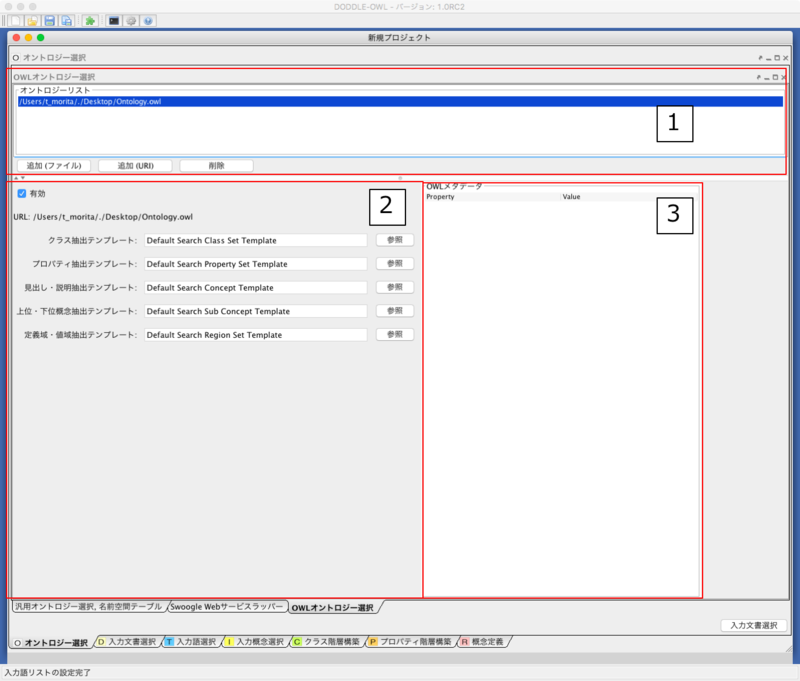 19 shows a screenshot of the Input Document Viewer. The details of each part are described below. Display the input document list. When displaying the content of the input document selected in 1 to 3, select the line range in the document. 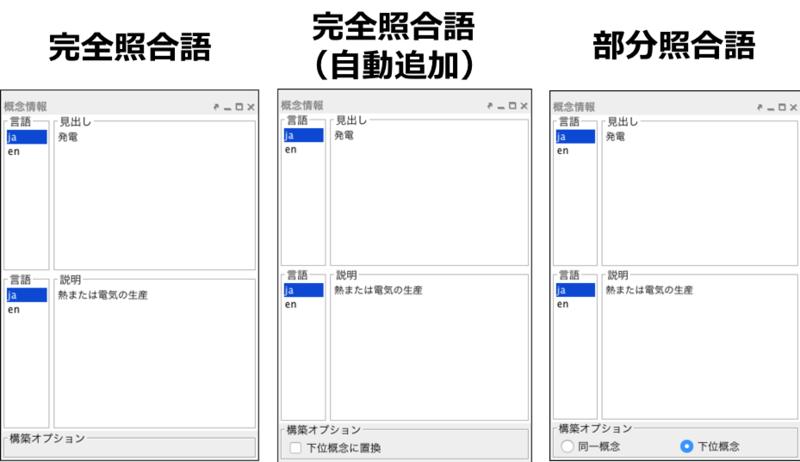 Display the contents of the input document selected in 1. The displayed row range is selected by 2. By clicking on the term to which the hyperlink is placed in the input document, it is possible to select either an input term or an unnecessary term. The blue link represents an input term, and the gray link represents an unnecessary term. When matching the mouse cursor to the hyperlink of 3, the term name, part of speech, TF, IDF, TF-IDF, and upper concept of the term are displayed. Sets the number of divided lines for dividing the content of the input document. The users can manually add terms that could not be extracted. By selecting the range in 3 and right clicking on the mouse, the users can add terms manually as well. For added terms, a blue hyperlink is established in 3. Select a type (compound words, nouns, verbs, other parts of speech) of the term that makes a hyperlink to the content of the input document displayed in 3. In the Input Term Table, it is possible to select input terms from terms automatically extracted from the input documents. Fig. 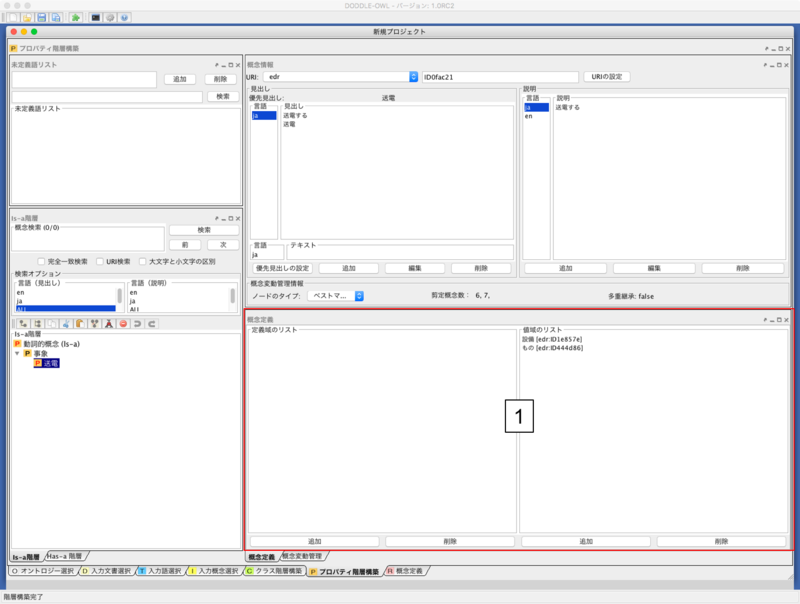 20 shows a screenshot of the Input Term Table. The details of eatch part of the Input Term Table are shown below. Narrows down the term list displayed in 3 by the term entered by the user. Narrows down the term list displayed in 3 by the part of speech entered by the user. Display the occurrence of the term selected in 3 in the input documents. A list of input terms finally decided by the users. Since it is a text area, the users can add input terms that did not appear in the input documents. When “Add to input term list” button is pushed, the term of the line selected in 3 is added to the input term list of 5. When the “remove” button is pushed, the term selected in 3 is transferred to the “removed term table”. Save the project of DODDLE-OWL with a name. Select the DODDLE project folder as the file format if the users want to check the intermediate result file being processed. If the users want to save it in one file, select the DODDLE project file (.ddl).